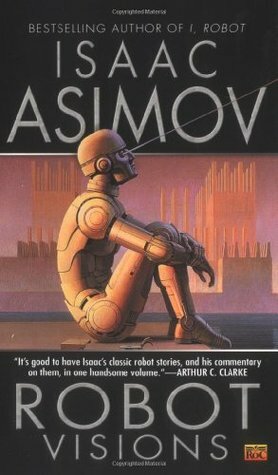 Asimov chronicles the development of the robot as an instrument, then its development within his own imagination that led him create his well received series on the subject. Asimov lists the stories in this volume, one by one, and gives a little background on each and when and where it was published. He also documents how he created the Three Laws of Robotics and the term, Robotics, which has become generally accepted as the term used to describe the study of robots. A team of scientists sends a robot forward in time to advise them on the state of humanity so that they might take corrective action on foreseen problems. He returns to tell them humanity is doing just fine. But, there are no robots in the future. This was sort of a dull story to start off with. The first person narrative worked well and served the twist at the end. But I was hoping for something more riveting to open things. A roboticist who pioneered the creation of microbots has cancer. His only hope for survival is his creation, Mike. Mike will shrink to go inside his body and cut out the cancer. There is a risk that Mike may re-expand and kill the roboticist. The day of the operation comes and it is a success. However, it is less than successful for Mike who must obey the first law of robots. This is another of the modern stories in this volume that seem to lack the charm of Asimov’s earlier writing. There are no questions about bigotry, right and wrong, and the complexities of the Three Laws. The ending is a bit abrupt and perhaps the story picks up elsewhere in the volume. Robbie and his playmate play all day together. Robbie is a robot and his playmate a young girl. While the girl’s dad likes Robbie, mom doesn’t think it appropriate. One day, the girl comes home to find her robot has been replaced by a dog. The dad sets out to find Robbie before he is scrapped. 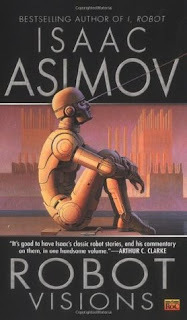 One has to go back to the old Asimov to find the humanity in his robot stories. This one is light in emotion and told in a dry, but effective, 3rd person narrative. But it works just fine and would have made a fine tale for the old pulp magazine in which it was published. A robot comes off the manufacturing line who can read people’s minds. It is troublesome to the team – including Dr. Calvin – who has to work with him. Each member of the team harbors ambitions and goals and can’t help but ask the robot about them. The robot, obeying the First Law, tells them what they want to hear. In the end, it is Dr. Calvin who constructs a statement that either answer will conflict with the First Law. The robot goes catatonic. Another good exploration of the Three Laws of Robotics which is quite helpful in the later Robots novels when philosophical debate regarding the laws is the intellectual crux upon which the stories turn. This was a superb story, representative of the time in which it was written. A crew if two men have been assigned to re-establish the mining operations on Mercury. They take with them a robot assistant named Speedy (SPD) who will be able to move about the hot surface and gather the materials they need to maintain the solar cells. Then the cells start failing, finding those materials becomes a matter of paramount of importance. Using older vintage robots to venture onto Mercury’s surface to find their wayward robot. They find him intoxicated. Apparently, the way the orders were provided caused a conflict between the second and third laws that causes intoxication in robots. With time running out, they are able to get the robot righted and producing the necessary materials to get the mining operation back in business. Another fine examination of the vagueries of the Three Laws. This time, when orders are given, priorities must be verbalized properly to give the robot the right law with which to act upon. When the second and third laws get into conflict, only the risk of life of a human will make the first law override the first two and get the robot working again. Politicians dual over the possibility of one of them being a robot on the sly. The man refuses to publicly violate one of the three rules to prove he is not a robot. After the election, Dr. Calvin figures it all out. This rather long tale could have been shorter. It still works as one of the better examinations of the Three Laws of robotics. A series of robots are constructed with positronic brains that do not include the first law of robotics. They are used in off-planet mining operations. After being ordered to “lose himself” by one of his bosses, a robot deliberately hides and will not allow himself to be found. Dr. Calvin travels to the planet and uses her knowledge of robots to locate the wayward robot. Another examination of the Three Laws and how they interact with each other. Most of the Robots short stories operate along these lines and Asimov continues to fascinate with his exploration of his own creation. Dr. Calvin and Stephen Byerley examine the role of robots in the world economy and the fallibility of robots when fed data by fallible humans. Just as boring as it sounds. This story read like a law brief or a government report. I’m guessing the readers of Astounding Science Fiction weren’t astounded by this one. A robot and one of the world’s leading roboticists are lost when a meteorite hits the aircraft in which they are traveling. The robot is the first of its kind – an intuitive robot designed to be a free thinker to help astronomers find habitable planets outside the solar system. The folks at U.S. Robotics call in the now retired Dr. Susan Calvin to help ascertain what remarkable disclosure this robot might have made before her imminent destruction. This is one of the few stories that spends little time pondering the complexities of the Three Laws that I enjoyed. It examines sexism in the workplace as well as providing a nifty little mystery toward the end. Andrew Martin is a unique positronic robot in that he has a creative instinct nurtured by his owners. Over the years, he develops human qualities of reasoning and learning. He aspires to become human and enlists his family’s law firm’s aid in doing so. He replaces his robotic body with an artificial human body and eventually his positronic brain with a cellular brain that will slowly deteriorate as the human brain does in his quest. Asimov has spun many an interesting tale and I enjoy his stories a great deal. However, this story was not so much interesting as beautiful. Asimov is able to evoke great emotion with cold, detached prose, mimicking how a robot might tell a story. He explores issues of slavery and bigotry while never becoming preachy or forcing his subtext. The end was stunningly touching. Asimov’s best story in my opinion. Bicentennial Man was made into a movie of the same name in 1999. Two boys disassemble a computerized storyteller and enhance its vocabulary with modern terms to enhance its ability. Then one boy describes a strange type of storytelling involving written symbols that appear on paper. They set off for the library to find some of these compilations of symbols. This story had just the faintest touch of dystopia. But not quite enough to make it interesting. A scientist discovers how to employ lasers to enhance the ability to conduct EEGs. 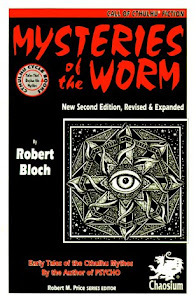 When they employ the technology, they discover not only a form of telepathy and that their super computer is capable of independent thought. This story was a prime example of the type of science fiction I hate. It’s laced with a lot of science and just a little bit of fiction. It was science fiction for engineers and doctors. As a short story, this was too brief and completely lacking in any plot. The subtext is about mixing of races and race mongrelization. The subtext is dealt with effectively. But there wasn’t much story in this short story. Detective Baley is contacted by his old partner, R. Daneel, to solve a mystery regarding two mathematicians and stolen intellectual property. One scientist presented his idea to the other before a major conference. The other scientist stole the idea and presented it as his own. The exchange was done in the presence of two robots belonging to the scientists. Baley must puzzle through the testimony of the two robots and the Three Laws to determine who the thief really is. I love robot stories featuring Baley and Daneel. This one, again, involves the intuitive Baley working his way through the complexities of the Three Laws. It is not action oriented. But the logic is intriguing. A child who is part of a tour of the robot factory plays with a computer keyboard and alters the encoding of a robot’s mind while in production. That robot emerges with the mind of a small child. Dr. Calvin is obsessed with the robot and whether or not a robot can learn new competencies. Meanwhile, company officials worry that the public on Earth will be alarmed by a robot who can learn. This story harkens back to the feel of the original robot stories found in I, Robot. This is not just because of the inclusion of those original characters like Dr. Calvin. It also examines what can go wrong in creating intelligent beings and the exploration of the Three Laws. U.S. Robots is sued when a robot they leased to a university for proofreading manuscripts alters a professor’s manuscript and ruins his reputation. The Three Laws are examined in court while Dr. Susan Calvin develops a strategy to trip up the lying professor. Good, old school Asimov examining the complexities of his Three Laws. A middle-aged couple decides to give their robot Christmas off. Their son and daughter-in-law are coming to visit with their grandson and a robot of their own. When the obnoxious grandson ticks off the grandfather, the kids leave in a snit. The man is happy to see them go. But he is alarmed when his robot remarks that he wishes there were no Three Laws of Robotics. This story could serve as a precursor to robots growing independent and refusing to be obedient. 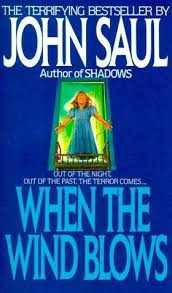 It was well written with an ambiguous ending that lent itself to so much more in the future.